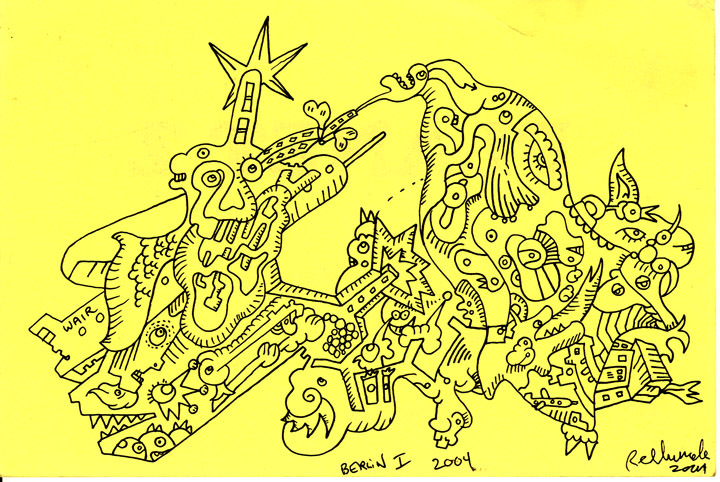 2005: Berlin Streaming, Same same but different, you know. On pieces of yellow paper that was actually flyers for a small show I did at a place in Oslo named Stratos. Pen drawing on paper 19x12 cm.